Yesterday, the Parliamentary Assembly of the Council of Europe elected Mrs Ganna Yudkivska as judge with respect to Ukraine. She knows the Strasbourg system from the inside, as she has experience as a lawyer within the Court's registry for five years and as a human rights lawyer on the national level. She obtained an absolute majority of votes cast (117 out of 210). She has been elected for six years and her term will start within three months. When Protocol 14 enters into force this summer, her term will automatically be extended to 9 years. Under that same Protocol, her term is not renewable. Click here for her personal homepage with some background information. The election of Ganna Yudkivska ends a long period of uncertainty, in which every time ad hoc judges had to be appointed for applications concerning the Ukraine. For several years (at least since 2007) a battle raged over the list of three candidates. 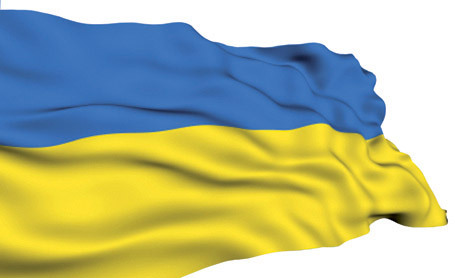 Ukraine had submitted an entirely new list after one of the initial candidates withdrew. This led to such dismay at the Parliamentary Assdembly, that in the end the Court was asked by the Committee of Ministers to issue an Advisory Opinion. See my earlier posts here and here. Interestingly, Mrs Yudkisvska was the only candidate on the original list on which no very big controversy seemed to exist. No doubt the turbulent political situation in the Ukraine has a lot to do with the whole controversy. It is good that now at least there will be again a fixed judge in respect of Ukraine. After all, there is a lot of work to do, with Ukraine being in the top 4 of countries against which the Court issues judgments. One may note that one day earlier, on Monday, president Viktor Yanukovych visited the Court. On the same day, he also addressed the Parliamentary Assembly in a speech, in which not a word was said on the whole issue. I think that it was a very wise decision of the PACE. Ganna will make a very good judge. I also wish Ganna good job in ECHR as a judge. And I do hope that this election will clarify the indefinite situation with all (six) ukrainian B-lawyers who are more that 1 year on waiting list from june 2009, to take their positions in the Court's Registry soon.